The saying that the “Fortune is in the Follow-Up” could not be more true in the Direct Sales Industry. 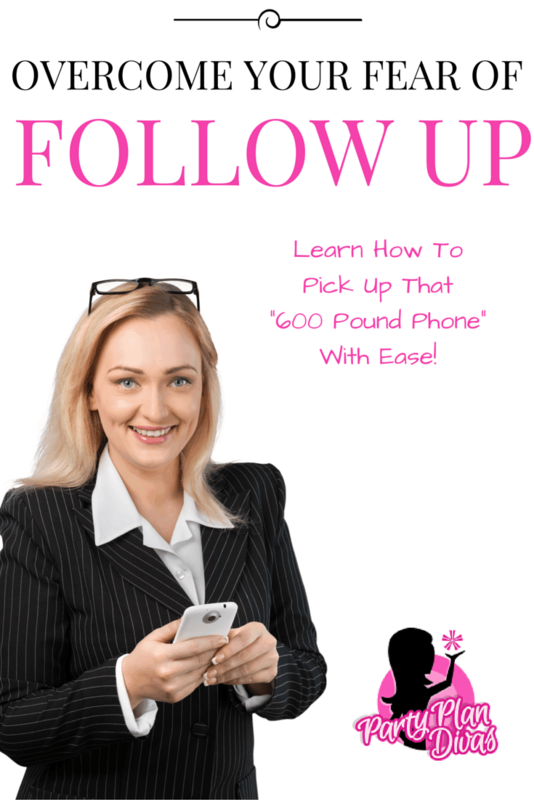 Whether you are following up on a recruiting lead, a sales call, or even just to hostess coach, often times we psych ourselves out with fear and avoid picking up that “600-pound phone” altogether. First of all, understand that “follow up” and “prospecting” are two different things. With Follow Up, you have already made contact with the person, so it is a “warm lead.” This is a GOOD THING! “Follow up” also indicates that the person is EXPECTING you to call. You have already put plans in place – be it a party to date, information to share, etc – so it is kind of like setting up a meeting, and then not confirming it. NOT a good thing. If a friend set up a coffee date, and then you never heard from her again, you would feel a little “stood up” right? Not a good feeling, and certainly not one you want in your business. So, with that being said, let’s talk about getting ready for the phone, and then I will share a script that I have to make the calls run more smoothly. The #1 most important step to make your phone calls run smoothly is to make sure you are ORGANIZED before you pick up the phone! You do not want to be scrambling around trying to find things once you have someone on the line. This will freak you out beyond recovery (lol) Clean off your desk or work area. Clutter is going to make you FEEL nervous. You want a calm, clean slate in front of you. Spend a moment getting in the “zone” with your Party Diva Mantra. Think about what it is that you want to achieve with the phone call, and make sure you have everything you might need available to you. 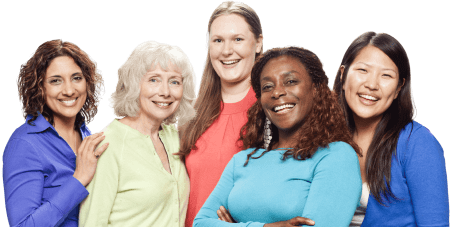 Remember that sometimes a call may begin with one intention – say hostess coaching – and take a turn for something else entirely – like a recruiting opportunity! Make sure you are prepared come what may! Mirror, yes, you want to look at yourself to make sure you are smiling! Now, this is my all time FAVORITE Script for Following Up after I meet someone at a party. Remember the MOST important part of this is when you GET QUIET – silence is golden! This gives the person on the other end of the line an opportunity to SPEAK! Remember we have two ears and one mouth – so listen twice as much as you speak! Hi, Customers Name! This is Your Name with Your Company! Is this a good time to chat? I wanted to tell you how nice it was to meet you at Hostess’s party and to Thank You for your order. Are you happy with all of your products? Great! I would like to verify the information on your Customer Order Form for my Customer Care Service and offer you a Percentage Off or Free Item on your next order just for sharing your information with me! Is that ok? Terrific, I will get you a Hostess Packet in the mail first thing tomorrow and look forward to seeing you soon! No problem, I understand completely. I will add you to my mailing list if that is alright, and will touch base later in the year to see if it is a better time for a party. Thank you so much Customer’s Name and talk to you soon! This is my favorite one, but there are a ton more in the Training Library of Party Plan Divas! Join us for full access to the Scripts Library! « Success can be Cheap, Quick, or Easy – Never all three!